Want a regular source of new ideas to help you create innovative garden spaces? This is the place to visit, all the newest content for GardenDesignExposed will be linked here, and there are so many great things coming! I am excited when I think of the beauty that you will be creating once you have some of these concepts and ideas at your disposal. And it will be your own! Nothing beats being able to take pride in your own creations! You won’t want to miss all the ideas, projects and garden wisdom that will be appearing here. To subscribe to this page, right click on the RSS button to the left, Copy the URL, and paste it into your RSS feed. Never used an RSS feed before? Check out the [?} above the RSS button in the left column to learn how to get yourself started! You’ll find it useful not only for content from this site, but from your favorite web sites on any topic! Interested in bookmarking the site? Careful planning and creative thinking have coupled in the example above to create a stylish, year round representation of a Tuscan Garden or a Spanish Hacienda. Without considerable forethought, this beautiful arbor would have been a lost opportunity. Learn how best to choose your garden style! 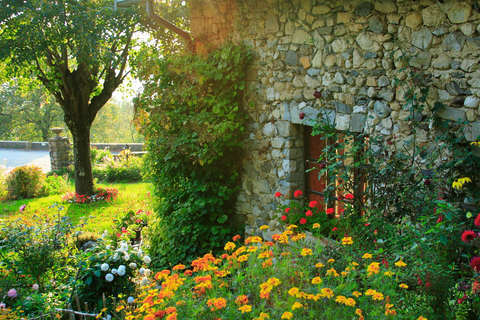 Continue reading "Delightful Garden Styles! Personalize Your Garden"
Delightful Garden Styles - Personalize Your Landscape! 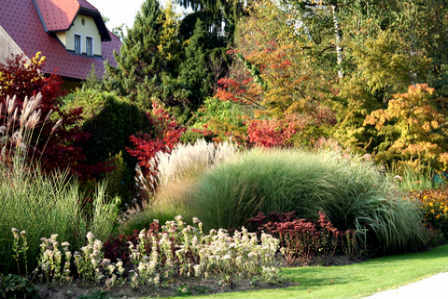 Continue reading "Delightful Garden Styles - Personalize Your Landscape!" 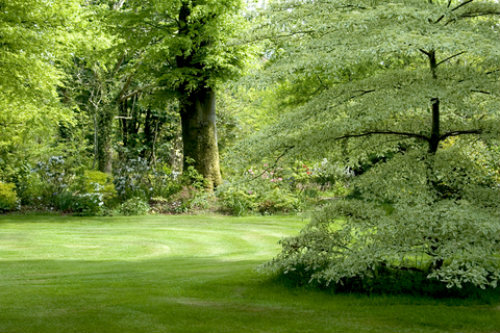 Landscape Trees are among the most permanent additions you will make to your garden. Many of them will live well beyond you, so deigning to select a tree for your landscape is a bold move! Learn what to look for in Landscape Trees! Continue reading "Landscape Trees - Stories of Trees and Gardens"
Continue reading "Designing a Container Garden"
Check out the history, variety, and techniques that help urban gardeners succeed and design a bit of paradise in the city! 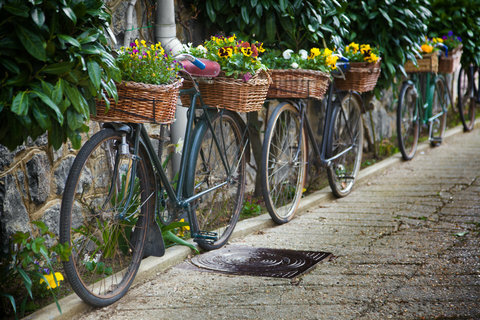 Continue reading "Urban Gardening Style Guide"
Looking for a practical but restful garden? Perhaps it's a little bit country! What better garden style for those dog days of summer than the relaxed spirit of a country garden? This trouble-free garden style is highly adaptable and easily adjusted to meet the needs of most homeowners... even in the city this relaxed, free spirited style hits home. Sharing the same roots, country and cottage styles have diverged until each represents a unique and separate style. There are some subtle differences however! Check out the traditional elements that evoke the country style here. Continue reading "Country Gardens Style Guide"
Just one well chosen container can change the feel of a garden space. Whether you begin with the container itself or begin by purchasing the plants you want to add to a container, the two must complement one another to truly sparkle. Spend some time planning how your plantings will integrate with the containers you choose, and the style quotient of your garden will rise through the roof. 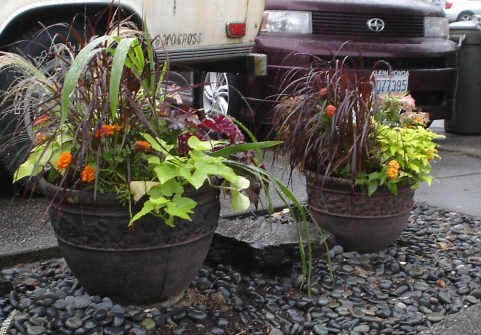 See how to use your container choices to enlarge the effect of your garden designs. Continue reading "Garden Container Choices for Extraordinary Gardens"
Landscape plants are widely available, and most of us want one of everything, don't we? We are limited somewhat by what will grow in our allotted space on the planet, but the choices are still overwhelming! Impressive design starts with very fundamental and important practical considerations. The lay of your land, the style of your home, and the size of your plot have an important impact on your final design. How can you choose which plants to bring into your garden, and which to leave at the garden center in spite of the fact that you love them? Continue reading "Choosing Landscape Plants"
Container gardening is among the most versatile and exciting tools in the gardener's design toolbox. 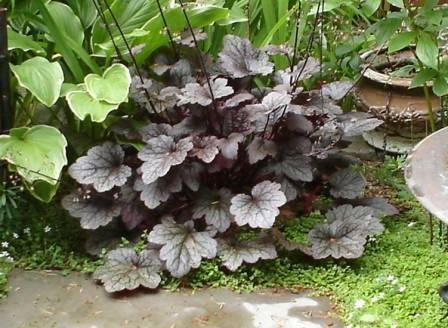 It is fun, easy, and adds an exciting new dimension to your garden. Discover some of the secrets! 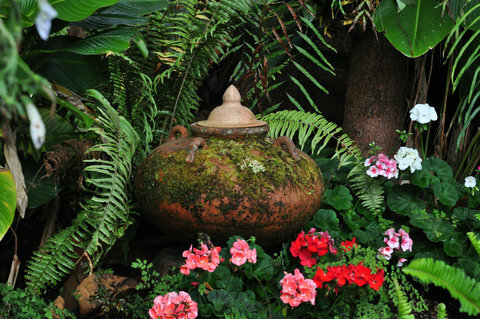 Continue reading "Container Gardening - Stage a Scene"
Formal English Gardens Style Guide! 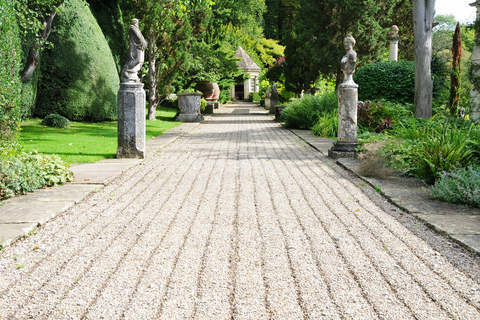 The roots of the Formal English Garden can actually be traced back to the early Roman times. 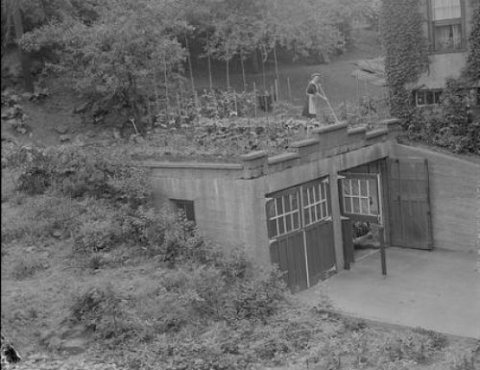 However, Formal English Gardens as we know them today originated during the 18th Century, from about the 1740's. These gardens represented a relaxation of the formal, symmetrical, and highly ordered gardens of the French Renaissance periods. Here is a style guide that will help you to get the look! 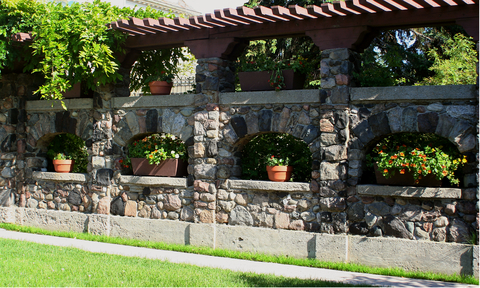 Continue reading "Formal English Gardens Style Guide!"